SOCIAL MEDIA! There are a lot of mixed feelings about these words, especially for individuals who work in the financial space. 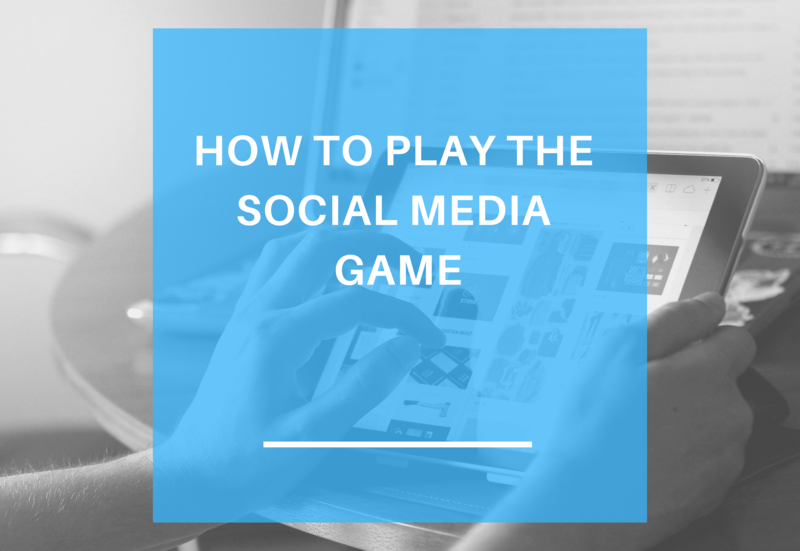 There are a lot of myths and notions about social media, but in reality, many financial advisors utilize social media channels to help educate and provide a product or service to their prospects and clients every day. Many financial advisors swear that they can survive on referrals to keep their business going, which is definitely true. But, that’s for survival, not growth. Not only do financial advisors need a presence on social media channels such as Twitter, Facebook, and LinkedIn, but you must prepare a proper and effective marketing strategy to both engage and educate your prospects. Research has shown that 85% of financial advisors use social media to generate traction for their business. In addition, it has also shown that utilizing social media platforms to educate prospects, which helps drive business back to a financial advisors website helps expedite the onboarding process for new customers(1). This article will share with you how to create a social media marketing strategy tailored towards ultimate success! To have an effective digital marketing strategy, the best way to start putting this together is to sit down with your team (or people who know your business really well) to help you to define your goals and to help you with each step of your strategy (outlined below). Know where your audience lives (not geographically... just on social media) and what they look like; your “perfect” customer or customer persona. What do they look like (age, occupation, gender)? How will their life work better with my product or service? Where am I engaging with my “perfect” customers? Do they benefit from the content I post? Do they engage with me? How many are visitors, prospects, and/or full-time customers? Will they help me connect with others and/or share content you post? Will they help me generate new leads and business? Not only will these questions help you better understand your customers, but will allow you to develop an effective and successful strategy. Which, will ultimately, help improve your business. To have a meaningful impact on your target market, know what channels best attract customers. Facebook, Twitter, and LinkedIn are some of the most popular channels for Financial Advisors to connect with their customers. For reference, 50% of Ultra High Net Worth Investors (UHNW) are on Facebook, 38% are on LinkedIn(2), and 11% are on Twitter(3). Facebook will allow you to not just be another business to your prospects and clients, it shows that you are a real person. Plus, you can set-up your business on Facebook and utilize some of their business features, such as Facebook ad-words, to share/showcase yourself, services, and knowledge(4). Around 74% of Facebook users use Facebook for their businesses to have visibility and gain traction for their business (5). As well, this a simple, cost-effective strategy that will allow you to communicate directly with your visitors, prospects, and clients and provide them a solution to their problem(6). Twitter is a great platform that allows you the opportunity to be more authentic with your followers (prospects and customers). This is a great channel to keep followers up to date on new projects, special events/promotions, and to even collect information (analytical data, such as likes and dislikes from your target audience)(7). People on Twitter also have the ability to retweet, so keep this in mind as if you are going through a very busy period and want to ensure you can engage your followers with content relevant to your area of expertise. Research has shown that Twitter lives for big events, and with it, has shown that Twitter ads are 11% more effective than TV ads; Twitter engages more with their audience online than through traditional channels(8). You will also have the ability to respond to others, whether that’s about questions on your tweet or inquiries about your business (it is best to direct them back to your website to keep things consistent in these types of cases)(9). 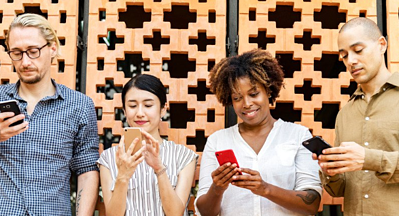 Overall, Twitter is a great space to review your demographic, have an instant connection to your followers, and see what content helps educate and drives individuals back to your website(10). One thing to keep in mind is that everyone can see your content (if your account is not private) and you should thoroughly review your content before publication. People come to LinkedIn for a variety of professional reasons: to connect with potential partners and clients, find and research different companies and individuals, and evaluate people’s credentials and background(11). What is amazing about LinkedIn is that it is such a positive space to be on. People are always open to feedback, connecting about different opportunities, and are supportive overall towards people’s different endeavors. LinkedIn makes it very simple for individuals to post content on their platform (as long as those articles are written with compliance in mind and are pre-approved). When advisors post content that others on LinkedIn really enjoy or find educational, they typically will share it with other friends/colleagues, which helps with generating new leads(12). Research found that 62% of Financial Advisors use LinkedIn to find new prospects and customers. From that 62%, 32% of those Financial Advisors increased their assets by more than $1 million from new clients(13). Do I have time to share/post great quality content? Has connecting with individuals on social media helped drive traffic to my website and business before? Will it now? Which channel will be the most effective? Something to keep in mind is that is that you should link articles, blogs, and videos you post to social media, back to your website. This will not only drive traffic back to your website but allow people to have instant access to all your services, pricing, team information, and everything else associated with your website. Once you have established what channels you want to utilize for your business, start writing out some of the goals you want to accomplish. This is a great time to set KPIs (Key Performance Indicators) for yourself so you can begin to monitor your progress and success! A guideline that many people will follow is the S.M.A.R.T. goal criteria(14). This stands for specific, measurable, attainable, relevant, and timebound. Attainable - Set a realistic goal (if you measured similar metrics before, set goals based on those metrics if successful). Relevant - Once you define your goal make sure the strategy is in line with your businesses (for optimized success). Forcing a strategy or creating a strategy that isn’t in-line with your business, will not be effective. Timebound - Give yourself a timeframe to keep yourself organized and on task (if you’ve done this before, give yourself a similar timeline). Attainable: I know when I tried this strategy last year I was able to demo my product for 22 of my connections, and later, converted 8 of those prospects into full-time customers. This number is definitely attainable. Relevant: This strategy is in line with how I want to grow my presence online and my business overall; helping young professionals make smart financial decisions. Facebook and Twitter do not provide the demographic or traction I want for my business. You should always be taking a peek into what your competitors are doing. Not only to stay informed, but to understand what they may be doing that is allowing them to better connect with their customers online and helping drive business successfully(15). Find out what their unique factor is that allows them to stay competitive in such a mass market. It also does not hurt to look at different industries and look at their strategies to find new ideas. Just because people within the financial industry do things one way, does not mean you have to follow the status quo. Many businesses, both within and outside of the financial space get involved in their local communities which helps drive traffic to their business. Go the extra mile, set-up a coffee chat with prospects, host a complimentary online seminar, or even help sponsor a local charity event. Not only do you want to evaluate your results after the completion of your project, but you should be evaluating the ongoing process of your strategy. You should be having weekly meetings with either yourself and/or your team to review the progress of your strategy. What should we be doing more or less to ensure success or better progress? Once you have reached the end of your timeline, look at your results and see if you’ve hit your KPI goals. Ask yourself the same questions listed above but see what you would do differently and the same next time. Check out our article covering tips on how to write and or post content with compliance in mind. We break down how to post content with compliance in mind, but here is a brief summary of the article. If you post any content to your personal social media platforms you won’t run into any compliance issues! If you are posting to your business social media platforms, make sure you review your content and send it to your compliance department for review before publication! Posing a question or a presenting a call to action (i.e. Learn More, Contact Us, or Book an Appointment option) will be great for interacting with your customers and follows compliance regulations. You cannot advise clients through social media (this will breach compliance regulations). 4) Last, but most importantly! Obtain approval from your compliance department before any publications to social media! The important thing to keep in mind is that there is no perfect strategy. You will have to continuously look for new ideas and avenues to explore until you find something that works for your firm/yourself and your demographic consistently. As long as you take the time to understand your customers, know what they need, putting in the effort, and tailor your strategy for them (and ultimately your success) you should start generating great quality leads! Did you know that content marketing generates three times more leads than paid search advertising(16)? With this in mind, keep your ears open for new ideas, be open to them, and you will be on your way towards creating a great strategy that holds amazing results! Don’t forget that social media takes time and effort. To see results you must frequently post content to your social media platforms and engage with your customers. You cannot expect overnight success from just creating a page or an account. You should now have all the skills to start or reformulate your current strategy! 1: Belbey, Joanna. "Financial Advisors: 15 Tips To Use Social Media (Compliantly)." Forbes. January 03, 2017. Accessed January 23, 2019. https://www.forbes.com/sites/joannabelbey/2017/01/03/financial-advisors-15-tips-to-use-social-media-compliantly/#41a6630175d1. 2: Konar, Oguz. "[CASE STUDY] How This Financial Advisor Filled Up His Seminar By Using Social Media Marketing." Local Marketing Stars. January 08, 2018. Accessed January 23, 2019. https://localmarketingstars.com/financial-advisor-social-media-marketing/. 3: "Wealthy Investors and Social Media." 2015. Accessed January 23, 2019. https://spectrem.com/Content/wealthy-investors-social-media-usage.aspx. 4: Kristina, Tahnya, CFP. "Advisors: It's Time to Get Serious About Facebook." September 12, 2016. Accessed January 23, 2019. https://www.investopedia.com/articles/financial-advisor/091216/5-reasons-why-financial-advisors-need-facebook.asp. 5: HubSpot. "The Ultimate List of Marketing Statistics for 2018." Hubspot. 2018. Accessed January 23, 2019. https://www.hubspot.com/marketing-statistics. 6: Kristina, Tahnya, CFP. "Advisors: It's Time to Get Serious About Facebook." September 12, 2016. Accessed January 23, 2019. https://www.investopedia.com/articles/financial-advisor/091216/5-reasons-why-financial-advisors-need-facebook.asp. 7: Belbey, Joanna. "Financial Advisors: 15 Tips To Use Social Media (Compliantly)." Forbes. January 03, 2017. Accessed January 23, 2019. https://www.forbes.com/sites/joannabelbey/2017/01/03/financial-advisors-15-tips-to-use-social-media-compliantly/#41a6630175d1. 8: HubSpot. "The Ultimate List of Marketing Statistics for 2018." Hubspot. 2018. Accessed January 23, 2019. https://www.hubspot.com/marketing-statistics. 9: Cooper, Paige. "28 Twitter Statistics All Marketers Should Know in 2019." January 16, 2019. Accessed January 23, 2019. https://blog.hootsuite.com/twitter-statistics/. 10: Waymire, Jack. "Social Media Profiles For Financial Advisors: Twitter." February 01, 2018. Accessed January 23, 2019. https://seekingalpha.com/article/4142077-social-media-profiles-financial-advisors-twitter. 11: Groenfeldt, Tom. "Financial Advisors Build Business With LinkedIn." Forbes. March 19, 2014. Accessed January 23, 2019. https://www.forbes.com/sites/tomgroenfeldt/2014/02/28/financial-advisors-build-business-with-linkedin/#68333a0e6cae. 12: Groenfeldt, Tom. "Financial Advisors Build Business With LinkedIn." Forbes. March 19, 2014. Accessed January 23, 2019. https://www.forbes.com/sites/tomgroenfeldt/2014/02/28/financial-advisors-build-business-with-linkedin/#68333a0e6cae. 13: LINinja. "Key Stats for Financial Advisors Using Social Media." May 22, 2018. Accessed January 23, 2019. https://linkedinfinancialadvisors.com/key-stats-for-financial-advisors-using-social-media/. 14: Newberry, Christina & Newberry, Evan. "How to Create a Social Media Marketing Strategy in 8 Easy Steps." Hootsuite Social Media Management. November 19, 2018. Accessed January 23, 2019. https://blog.hootsuite.com/how-to-create-a-social-media-marketing-plan/. 15: Newberry, Christina & Newberry, Evan. "How to Create a Social Media Marketing Strategy in 8 Easy Steps." Hootsuite Social Media Management. November 19, 2018. Accessed January 23, 2019. https://blog.hootsuite.com/how-to-create-a-social-media-marketing-plan/. 16: HubSpot. "The Ultimate List of Marketing Statistics for 2018." Hubspot. 2018. Accessed January 23, 2019. https://www.hubspot.com/marketing-statistics.